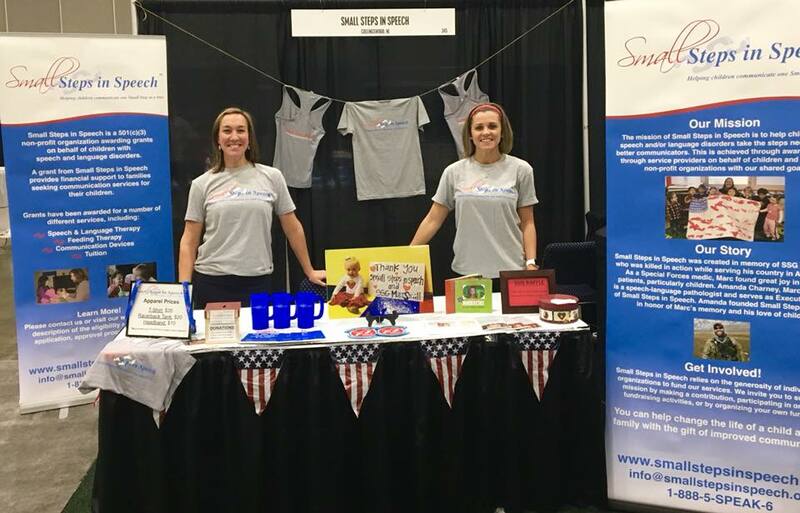 Small Steps In Speech Board Members will be attending this year’s ASHA National Convention in Boston November 15th through 17th. The ASHA Convention is an annual event for speech-language pathologists, audiologists, and speech, language, and hearing scientists. Look for us in Booth 1147 in the Non Profit Section.